This shuba is very tasty, It includes Salmon, beats, carrots and more. The mixture comes out to be very rich and loaded with vitamins. 1.) Cut your Onions, salmon. Shred your potatoes, beats and carrots. 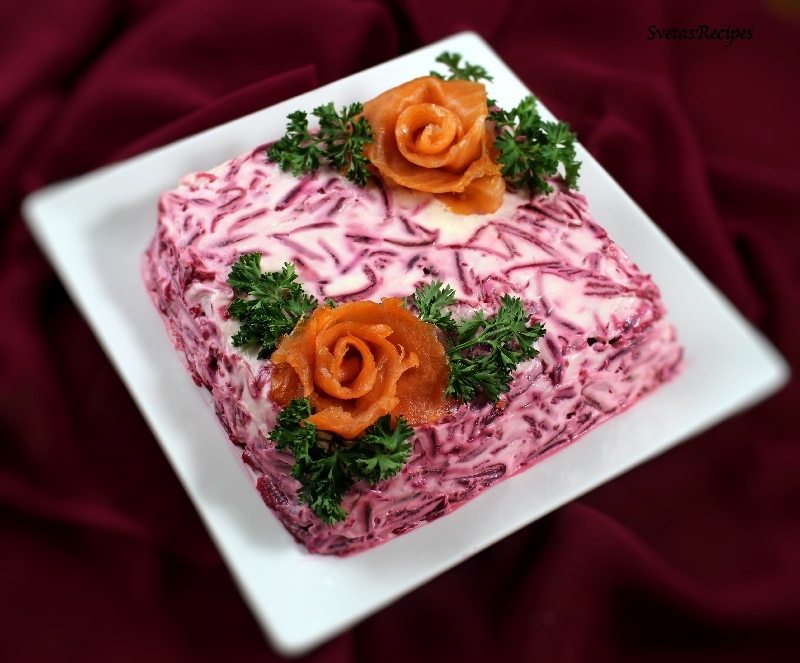 On a serving dish place down your first layer of salmon then onions and cover potatoes and then with mayonnaise. 2.) 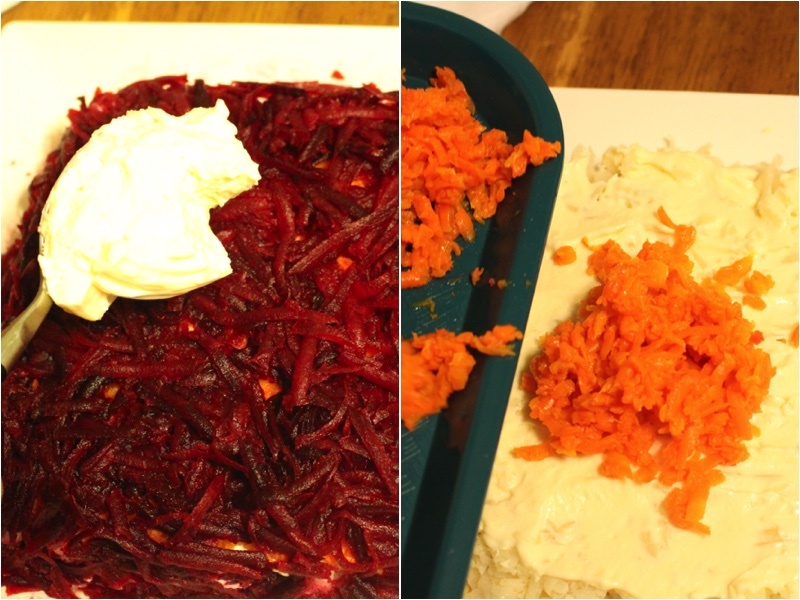 Now place your carrots on top of the mayonnaise and then beats onto the top of carrots, last buy not least cover the whole salad with mayonnaise. Now server! Cut your Onions, salmon. 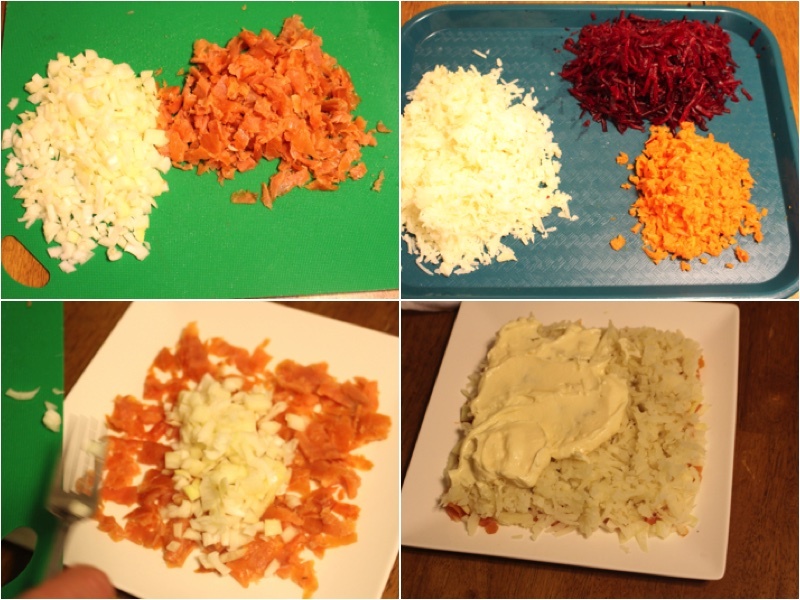 Shred your potatoes, beats and carrots. 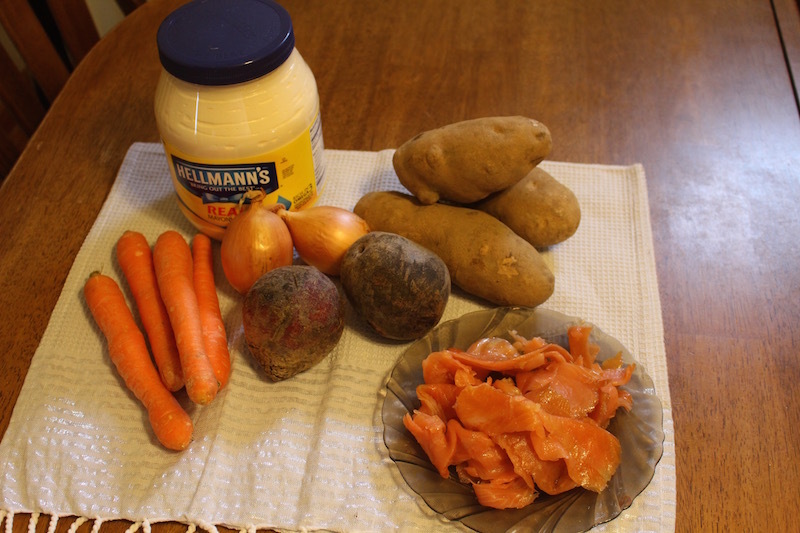 On a serving dish place down your first layer of salmon then onions and cover potatoes and then with mayonnaise. Now place your carrots on top of the mayonnaise and then beats onto the top of carrots, last buy not least cover the whole salad with mayonnaise. Now server!